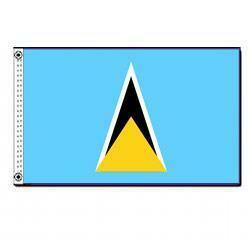 St. Lucia’s flag, adopted in 1967, was designed by Dunstan St Omer. 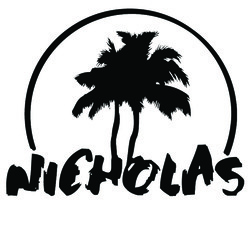 The blue background represents the sky and sea, as well as fidelity. Gold stands for sunshine and prosperity. The black and white combination represents racial harmony. The 2 triangle points represent the Pitons, 2 large peak that rise from the ocean and are symbols of the island.